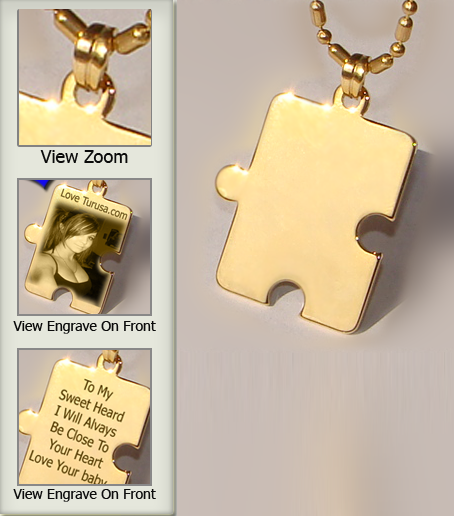 This puzzle pendant has 18k gold finish. Engrave your favorite picture, symbol or message to make this a very special gift. Engrave your picture on front and engrave on back 70 Characters (letters/numbers / dashes / symbols) or another picture.